AppFlix is Android Movie app. It serves not only Movies, but also TV shows too. You may think that this app will give one URL per Movie to watch. Absolutely not. Once you select a Movie to watch you may see that there are many results appear where you can watch that movie for free. When you look at those result more precisely you can see you can find result with dubbed and subbed versions. If you want to watch foreign Movie in your language you may find Movie that is dubbed on your language. No any other Android movie app offers that feature. Watch any Movie TV show free using AppFlix apk. You can watch Movies on bigger screens too. This app support Android TV devices like Amazon FireTV, FireTV stick , FireTV cube, MiBox and all. Watch Movies and TV shows without subscriptions and registrations. Just download and install this app and start to watch. Some of you may have slow internet connection that made difficult to stream videos due to many buffers. Some may want to save their internet data. For them you can download Any Movie or TV you like. So you can use free WiFi to download them. So you can watch any Movie or TV show anytime anywhere for free. Arrange all your Movies and TV shows downloads using AppFlix App. 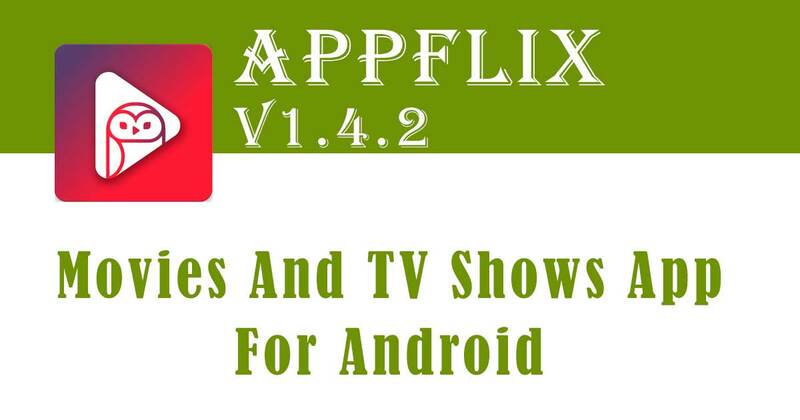 After the AppFlix previous version 1.3.3 latest release was 1.4.2. They has skipped many versions. Latest version comes with many bug fixes and now works smoothly on new Android devices. 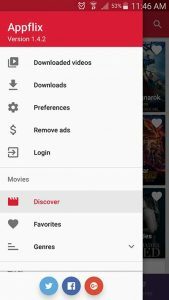 Download Latest version of Appflixapk.com for free. Watch Movies and TV shows for free. Click below link to download latest version of AppFlix premium App for free.